The following annotated high resolution layouts were created using the freeware program Do It Yourself Layout Creator (DIYLC). All the layouts have every component function labeled and are much more detailed than the original Fender black-and-white layout diagrams. Click on the layouts to see the hi-res version and below each layout you'll find links to download the pdf and DIYLC files. 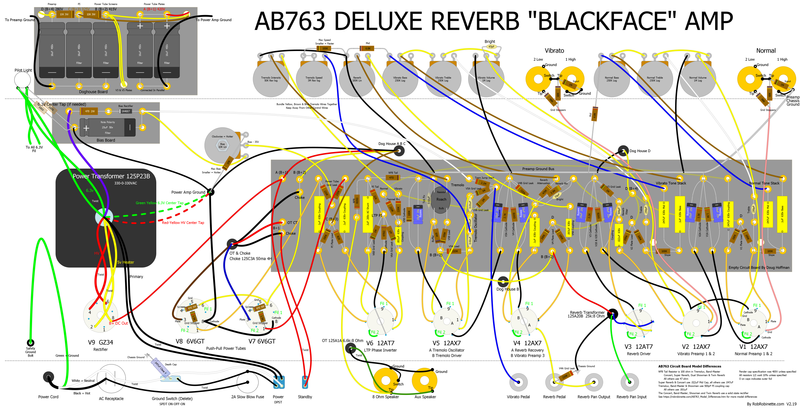 For more info see the AB763 Models page. Download the pdf here and the DIYLC file here. Download the pdf here and the DIYLC file here. These layouts make great wall posters. You can upload a pdf layout file to Staples.com and they'll print it in color on thick poster board suitable for framing. These DIYLC pdf files are super-high resolution and look great blown up to poster size. 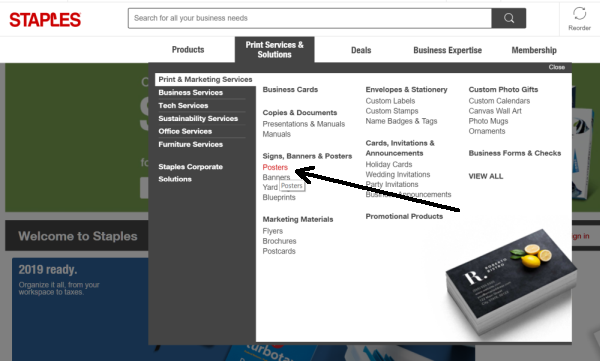 Just click here to go to Staples poster printing service. Click on "Design Now", select the "Super Heavyweight" tab, "Get Started", "Upload Your Design", select "Landscape" and choose your size, 24 x 36 is only $30 and available for same day pickup at your local Staples but the maximum size 36 x 48 currently costs $84 and must be shipped at no additional charge. After choosing your size click "Get Started" and drag your pdf file into the upload window. You may have to size the print by dragging a corner dot. You can also click-and-hold to drag the image to center it on the paper. When you're happy with the placement click on "Continue" in the upper right of the webpage, then select "Register", "continue as guest" or "sign in". Review your poster and click the approval checkbox, then click "Continue". Select shipping or "In store pickup" and click "Add to Cart" and checkout. 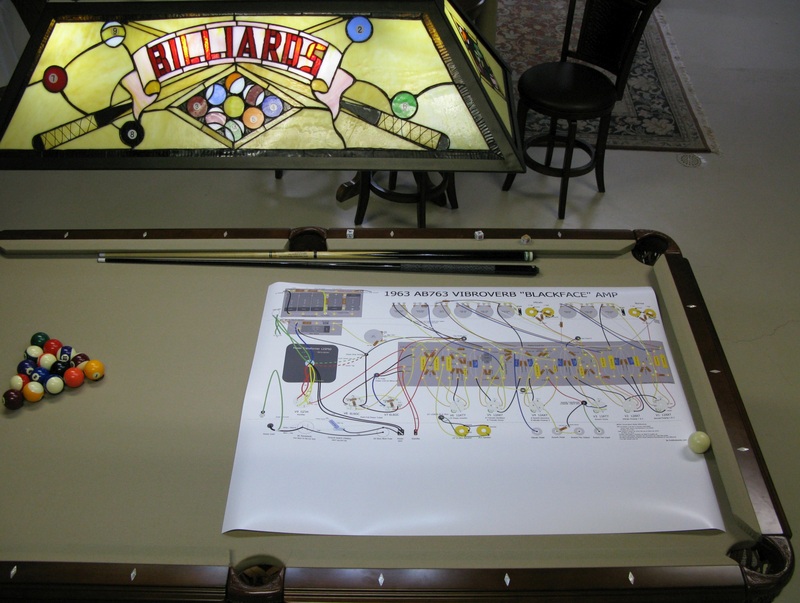 You can also print the glowing tube amp pics at Glowing Tube Photography as posters. Ready for trimming and framing then the battle with the wife over wall rights. Even when blown up this large the graphic is super crisp. Download the pdf here and the DIYLC file here. 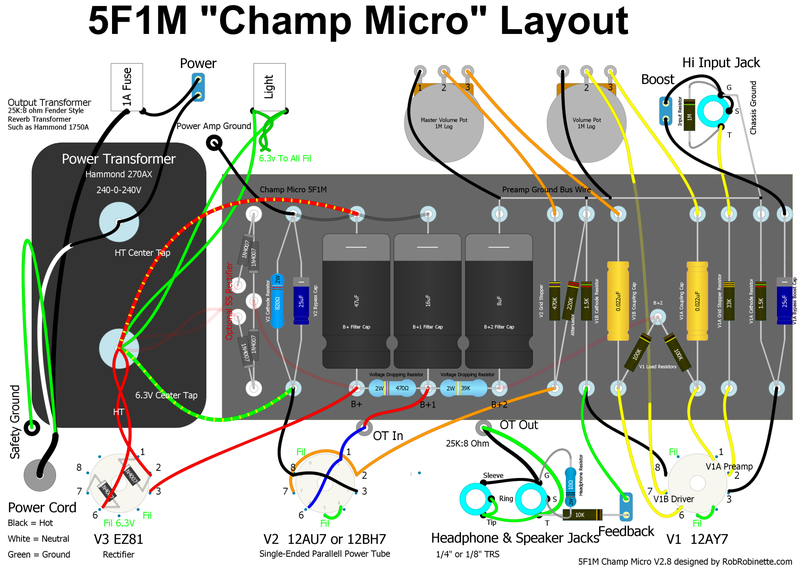 See the Champ Micro webpage here. For more info see the 5E3 Deluxe page. Download the pdf here and the DIYLC file here. JCM800 in a Princeton Reverb chassis. For more info see the Master Volume 6V6 page. Click the layout to see the high resolution image. Download the pdf and DIYLC file. Most of the Micro changes are after the phase inverter. Click the schematic to see the high definition version. 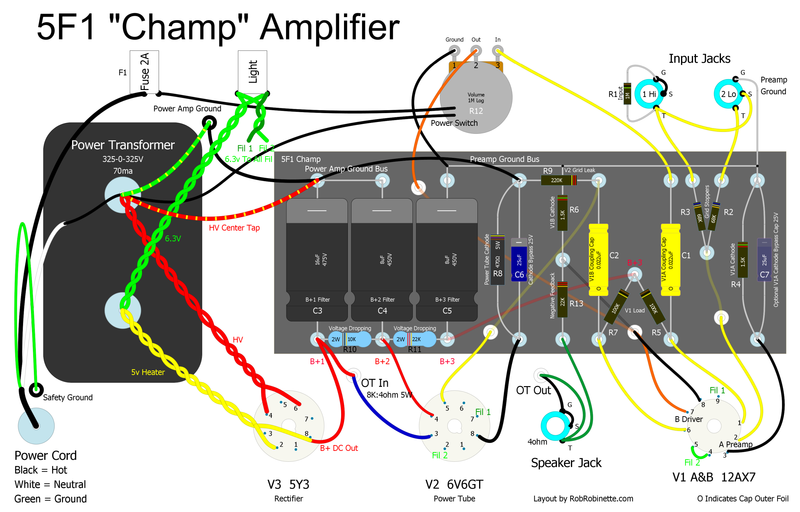 Download the schematic pdf here and the DIYLC file here. 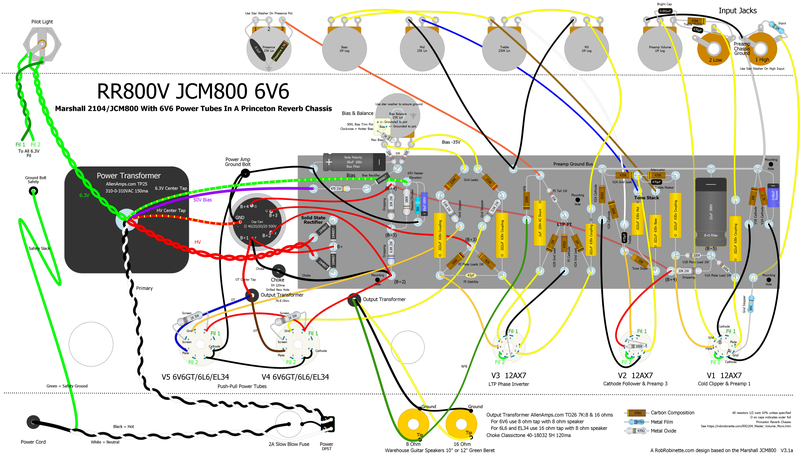 1 watt JCM800 in a Princeton Reverb chassis layout. 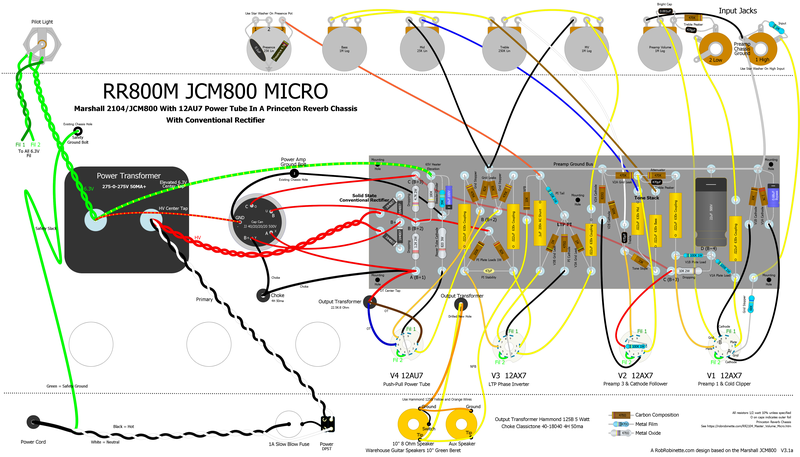 For more info see the Master Volume Micro page. Click the layout to see the high resolution version. 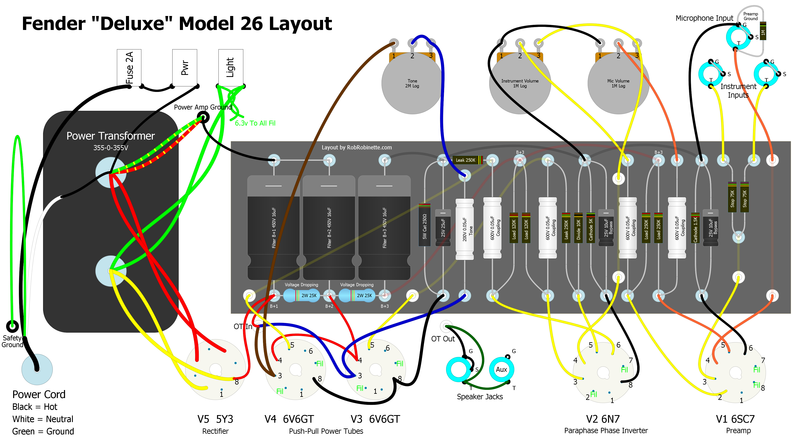 Download the layout pdf here and the DIYLC file here. 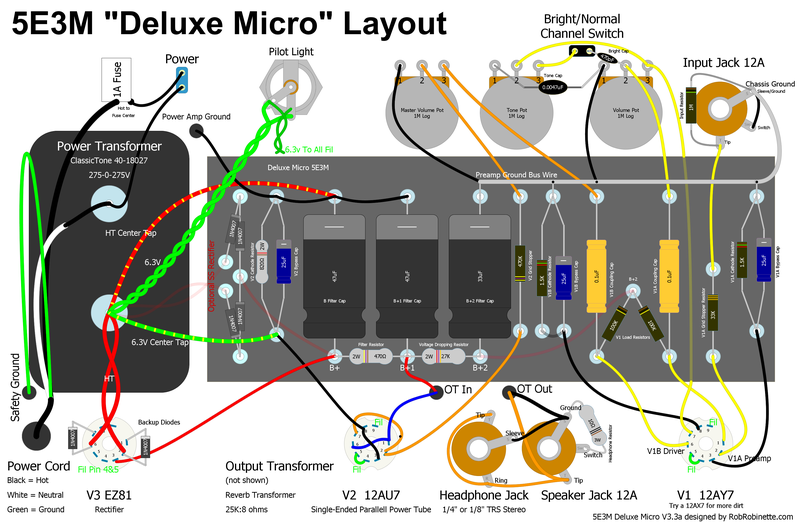 For more info see the Deluxe Micro webpage. Download the pdf here and the DIYLC file here. For more info see the Deluxe Models page. Download the pdf here and the DIYLC file here. 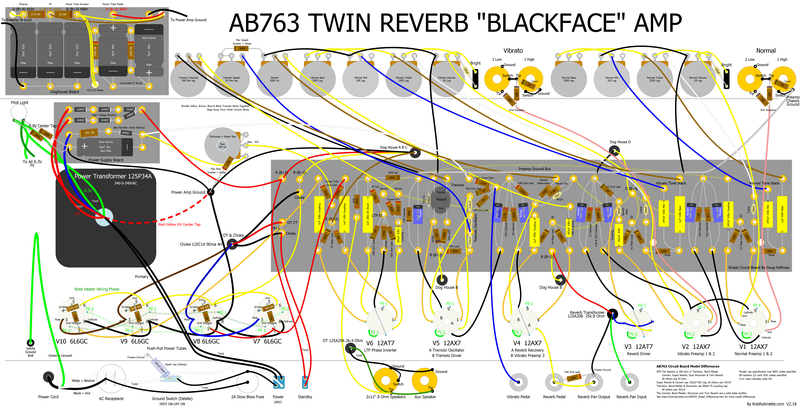 For more info see the 5F6A Bassman page. Download the pdf here and the DIYLC file here. 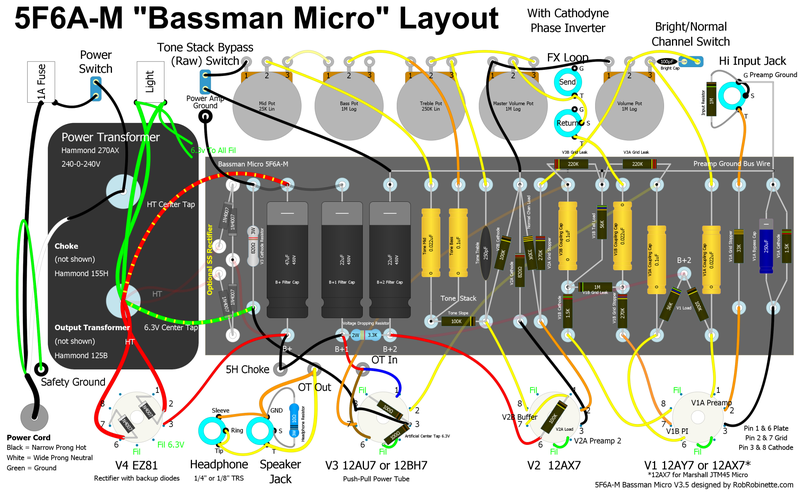 For more info see the Bassman Micro webpage here. Download the pdf here and the DIYLC file here. 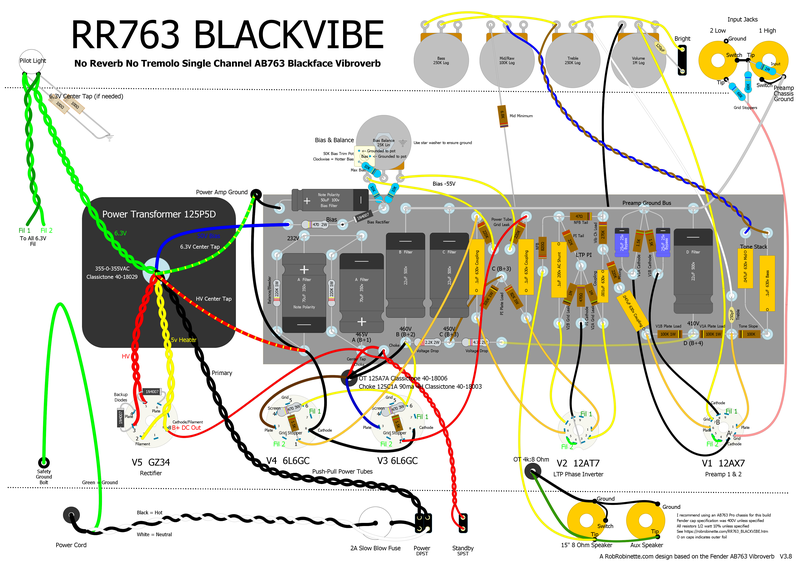 1 watt blackface Vibroverb in a Princeton Reverb chassis layout. For more info see the Blackvibe Micro page. Click the layout to see the high definition version. 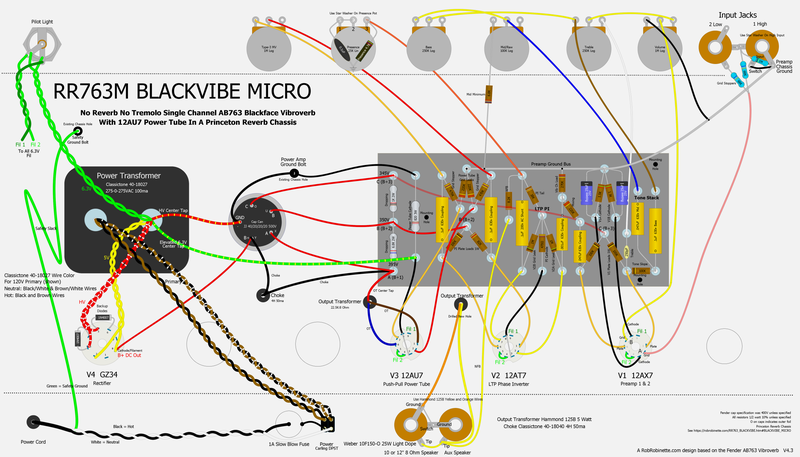 Download the layout pdf here and the DIYLC file here. 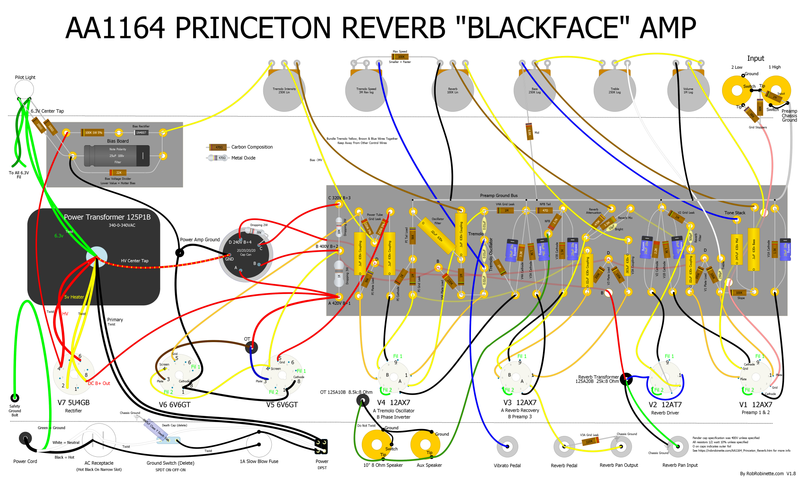 For more info see the Princeton Reverb page. Download the pdf here and the DIYLC file here. For more info see the Silverface Mods page. Download the pdf here and the DIYLC file here.